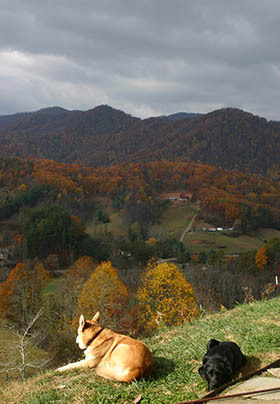 Welcome to Wildberry Lodge, your bed and breakfast accommodations near Asheville, NC. As a small hospitality business member, it is necessary for us to implement a number of policies to keep our guests, and our potential guests, safe and happy. Published rates subject to change. 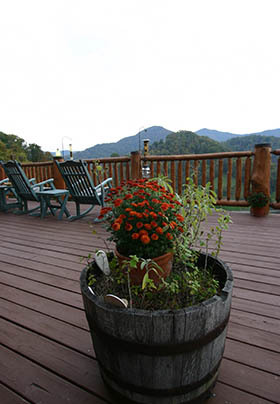 Rates are for one or two guests; additional persons are $25.00 per night. A Two-night minimum stay is required for weekend reservations and for any reservations for our suites with kitchens. Check-in: 4:00–9:00 p.m. Check-out: 11:00 a.m. Please come to the Main Lodge to check into your room(s). Smoking is prohibited at the inn. Our inn is not equipped to handle guest pets; you are welcome to enjoy our permanent four-legged residents during your stay with us. Reservation/Deposit: A minimum deposit equivalent to one night’s stay is required to reserve a room. For stays of three or more nights a deposit equivalent to 1/2 of the estimated total is required. This deposit holds your room (s) for the entire length of the reservation. You are responsible for the remainder of the balance upon arrival. Cancellations/Changes: As a small, independent business, cancellations have a significant adverse effect on our welfare; we therefore must implement a strict cancellations/changes policy. All standard cancellations/changes must be made at least 15 days before your original arrival date, and all cancellations/changes on reservations during holidays, large events and reservations of three rooms or more require a 31 day notice. All cancellations/changes are subject to a service charge equaling 10% of the total room charge with a minimum $25 service charge. Any cancellations/changes made within the 14/30 day windows require full reservation payment; since rooms are guaranteed for the entire length of your reservation, there are also no refunds granted for “no show” guests or early departures.